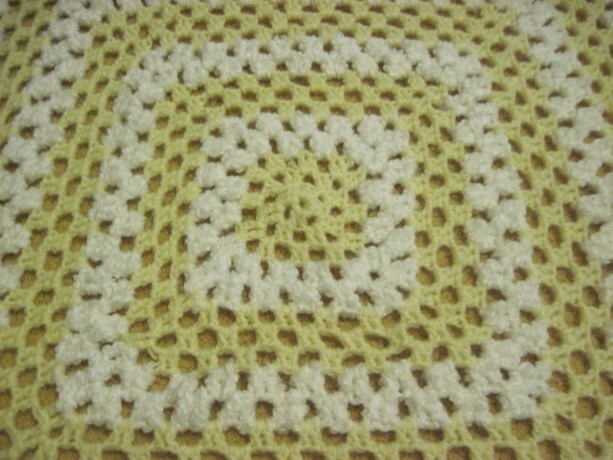 This blanket is perfect for a baby shower gift, newborn or to use as a stroller blanket. 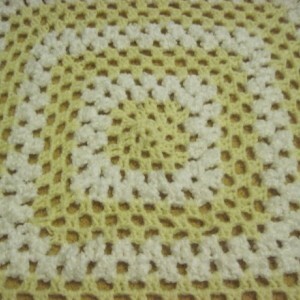 This baby afghan is very soft and is made with two lovely colors. 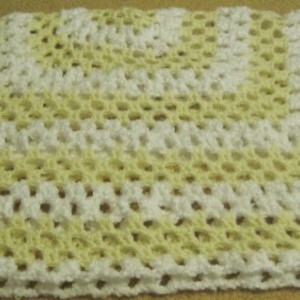 The first is a light yellow/cream. 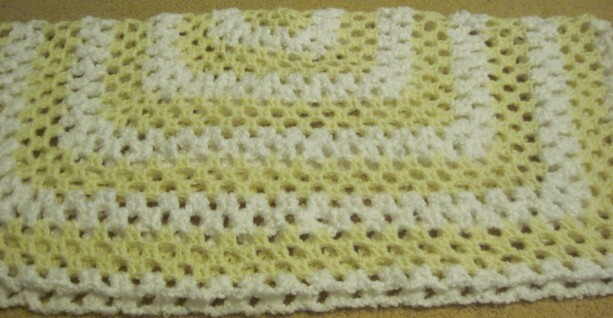 The light yellow is Lion Brand's Jiffy and the color is called fisherman. The second is Red Heart Baby Clouds Cloud (or white). 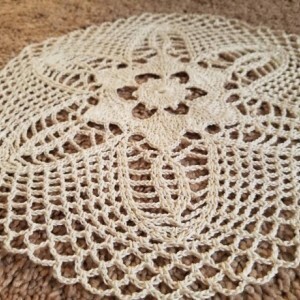 These yarns are both machine washable. 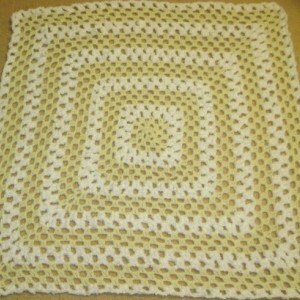 Perfect for a baby shower, and sure to become the favorite "blankie" for years to come. 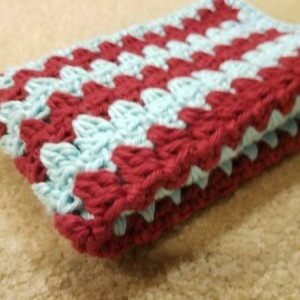 This afghan makes a wonderful light blanket or receiver for a new baby, or cuddly couch companion for your favorite toddler. 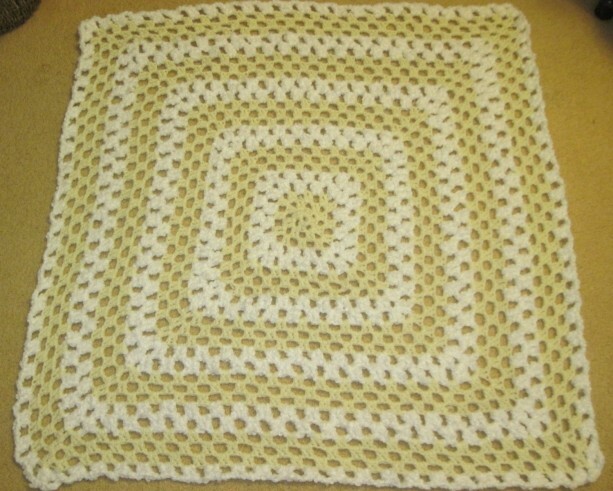 This blanket is approximately 36 inches square (3 feet by 3 feet).